I regularly have customers that have tried to sand their floors, made a right pigs ear of it and have then called me in to correct it. 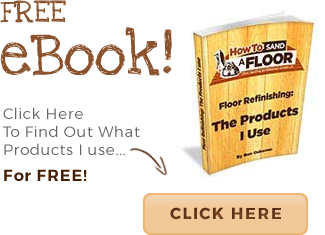 The first mistake that people make is they think that floor sanding is simple! Well it is when you know how! They think that because they applied a bit of sand paper to a piece of wood in wood shop class, that they know how to sand a floor like an expert. How hard could it be? This is a question I get from some friends. They think theres nothing to it, just gotta sand it down and lacquer it. Well unfortunately it doesn’t quite work like that. For one thing it would take a very long time to do by hand and therefore must be done by machines. Namely, very heavy powerful machines. Without experience or some guidance with these machines there’s a very high chance you are going to do a poor job. 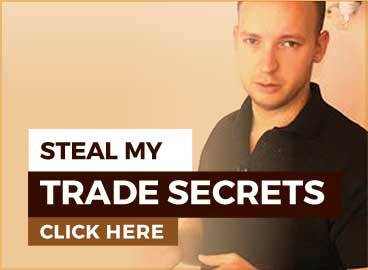 Do some research (on this website!) and make sure you know everything you can know before taking on the task. The second mistake I see time and time again is that people think that they can sand a floor starting with 120g sand paper. They are too concerned with not removing too much wood that they end up not even taking all of the previous finish off! The floor looks nice and clean so then they put down their lacquer or oil or varnish and BAM, that’s when they see all the previous finish that hasn’t been removed from the floor. As they apply the new finish, it reacts differently to areas where there is bare wood and the areas where the previous finish is still on the floor. I have seen this turn floors GREEN! Just so you folks know, I have a very heavy powerful floor sanding machine. I almost always start with 36 grit. Rarely I will start with 60 grit because the floor is quite smooth and there’s not much damage. Once in a blue moon I will start sanding with an 80 grit. What are the conditions needed for me to start with an 80 grit? It needs to be a very well laid, unfinished floor. If your floor has the normal wear and tear and a previous finish, theres a good chance you are going to need to start on a 36 grit sand paper. Be sure to check out How To Use a Belt or Drum Floor Sander so you don’t make common mistakes when using a floor sanding machine. P.S There is a video on youtube about “how to refinish a hardwood floor” and it has over 300,000 views. And it is dead wrong! He recommends using a finishing machine. A stand up orbital sander that should only be used to smooth the floor after the initial sanding. I have had customers that have used this on newly laid, unfinished floors and after spending DAYS on it, they call me up because they can’t get it smooth. These machines are not made for removing lacquer, oil, dents or scratches. They are made for smoothing the scratches from 100 or 120 grit sand paper on a belt sander! So the floor needs to already be clean and flat and very smooth in order for these to work. Such a shame this video has become so popular! Don’t fall into these traps guys, get prepared. Does the grit change based on the wood? I’m preparing to refinish fir floors and a lot of DIYers seem to warn against using such low grits, especially for softwoods, warning that novices are more likely to damage floors with higher grits. The floors are generally in good condition, but there are some gouges in the floor from careless furniture dragging and stains from where a kitchen used to be in what is now a bed room. (I’m sure not all of this will come out.) I certainly want to take enough off to take out as much of the damage as possible, though I also am a little afraid of such a course grit. We just found wood planks under the carpet but they are white. We are going to sand them down and finish them. I’m hoping to do this correct. It is a very hard job to do, the results could be disappointing if you do not have the time to search and read, at the beginning it will look striped and clean but once you apply the stain that when you will know the mistakes. I will never do this again, not worth my time and effort, give it to professionals and rest. HELP!. I plan on sanding my floors this weekend. I am a woman and 100 pounds and 5ft 5. I need advice on the best sander/s to use for my size. It’s just 2 rooms approximately 340SQ ft.
Also How heavy are these machines? As I have to go up 4 steps into my building and need to be able to carry them up those steps. I can go to Lowes to Home depot to rent the machines, I just need ot know which will be easiest for someone my size to use and manage. the machines at those locations are generally lighter, but I would try and get a friend or neighbour to help you in an out to be sure! Hi Ben. My floor have very…and i mean very thick coat of dark red varnish and the natural color of the floor is very light. What kind of sander would you recommend? And after 36g what shoild be the next sandpaper and what should i use for the finish? I want to completely remove the dark color and put a coat of some light color stain. how big is the floor? Hi Ben, I’m sanding my floors and have been using a U-sand random orbital sander and it is just not aggressive enough for my floors. They are picture frame design and do not have a lot of thickness to them. I’m going to attempt to use a drum sander on a less trafficked room so that I can test out how the sander works first and hopefully get experienced enough to handle the higher traffic areas. Do you have any advice about this situation? Also can you discuss the need for an edger after this method of drum sanding? sounds like you’re doing the right thing. Yes you will absolutely need the edger for sure. Hi Ben,what stage would you putty any dents..is it before the start of the sanding process..I’ve got 90m2 of engineered American Oak to resend & polish..